My name is Mrs Tink and I’m a germaphobe. Yes it’s true, I’m that girl at a party who asks everyone, “is that your drink or mine?” I then proceed to casually gravitate to the kitchen to grab a fresh cup (yes I’m sorry to all my previous hosts all the extra washing up was due to me and my insane phobia!) 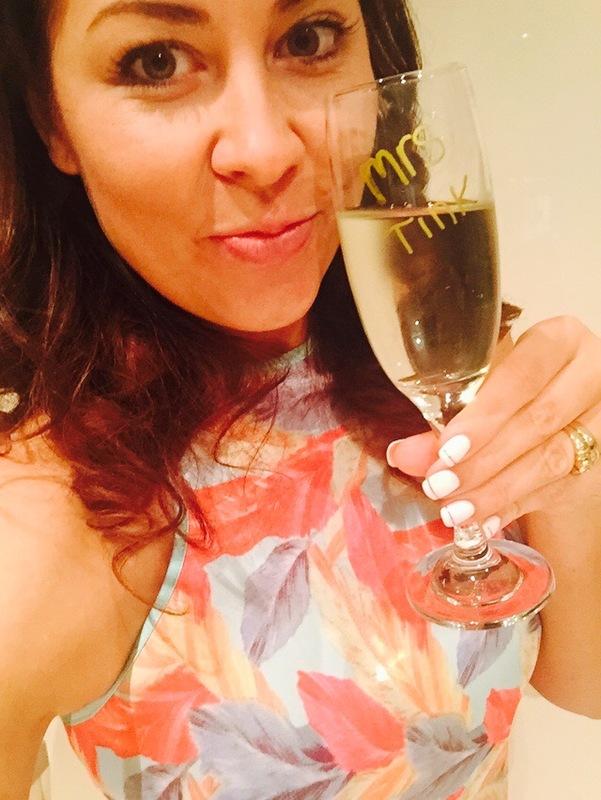 and start the whole process over, enjoying a fresh glass of champagne. To counteract this dilemma I started bringing my own glass (you know the old B.Y.O.G?) but apparently this is a little bit offensive and weird. Mr Tink refused to allow me to do this again in his presence after many a hostess became upset and felt I was judging them in the cleanliness of their crockery. So, what’s a gal to do? And how much champagne can one waste doing this silly dance at parties and BBQ’s? 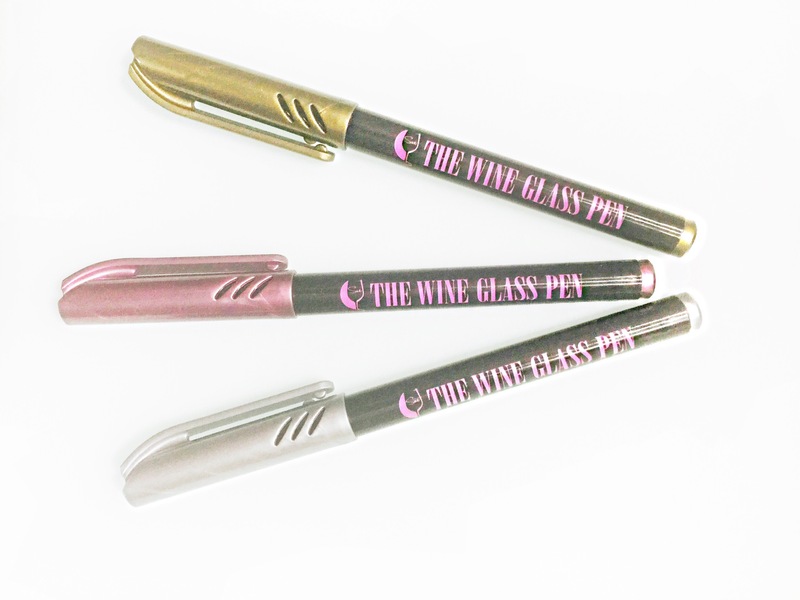 My germaphobe prayers were answered recently when I was approached by an innovative company to road test their product, The Wine Glass Pen. A product designed to resolve the vacant glass dance and help germaphobes like me blend into the crowd. 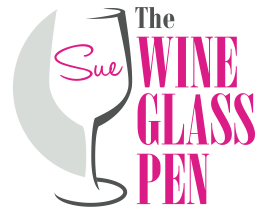 So what is The Wine Glass Pen you ask? It’s a clever little pen that allows you to write on your glass or in my case ‘mark that baby’ so I know it’s only my lips that have been caressing it. Not only does it mark your glass but the colour range is quite fancy and they make your glass super cute and fun. It’s not only glasses you can write on but plates and mugs. In fact it works on any crockery which makes them great for dinner parties, kid’s birthday parties, BBQ’s and even more recently the sports carnival where I marked Master 6’s water bottle. The best part about these pens is you can take them anywhere and one run in the dishwasher and the mark is removed. No staining, scratching or marking. Such a simple idea and a yet a big game changer for me and my germaphobe issues. So cheers to all you lovelies, may you always know where your cup is! 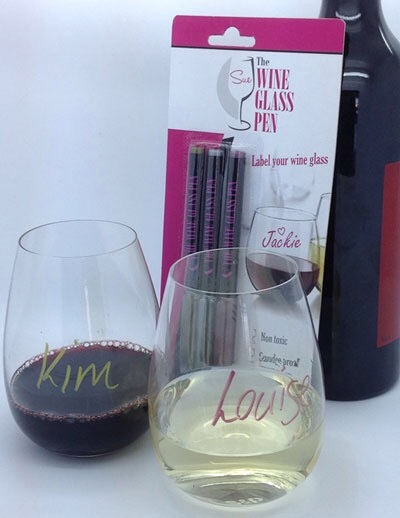 Keep track of your wine glass with The Wine Glass Pen which comes in three different colours.Simply write your name on your glass, the ink dries within a minute and is smudge proof. How have I never heard of these before?! Brilliant idea! Would love to give these a go. Perfect for parties, I would use them at work.. With so many staff it’s so annoying when you go to take a sip out of your drink only to see that the purple lipstick mark around the rim.. And you didn’t even have lipstick on that day!! Haha! OMG this is the best and most fantastic and brilliant idea. 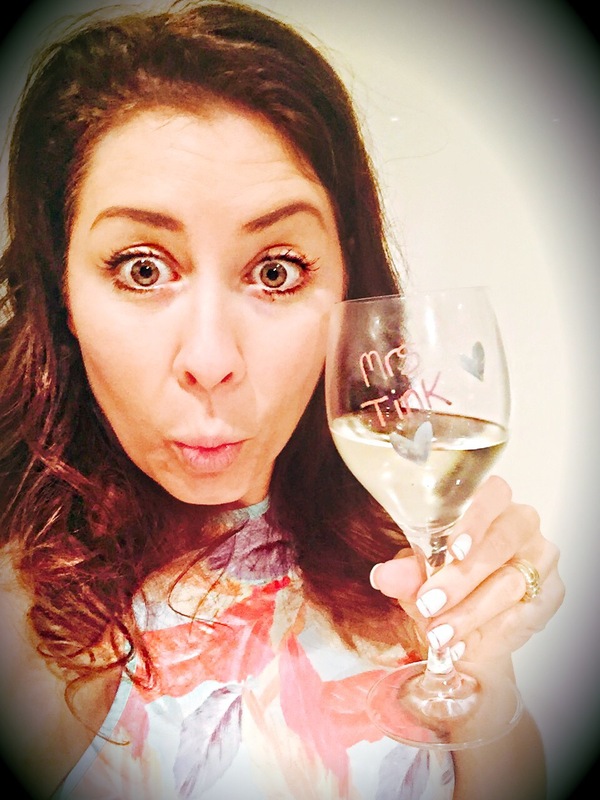 I, like you Mrs Tink, always manage to put my glass down and then can’t figure out which glass belongs to who! I’ve tried those wine baubles you put on the stem, but many of those fall off or people forget what colour their bauble was! And don’t get me started on the kids. How many glasses/cups we go through is ridiculous. I try and give them separate coloured/different glasses, only for them to forget which colour they had. At one stage, I took to getting out the labeller. I know, a bit annoying, but they loved it for a while. This is such a brilliant idea, I can’t believe I didn’t think of it!